Being able to identify the alphabet is the stepping stone to recognizing sight words and independent reading. It's always wonderful when books can tie into these important skills. So when Penguin Books sent us the latest Llama Llama book, we fell in love! Practicing the ABCs doesn't have to be boring or redundant. See how I used this book to draw my little learner into working with the ABCs. A Note from the Publisher: Anna Dewdey passed away in September, 2016, at the age of fifty from cancer. A teacher, mother, and enthusiastic proponent of reading aloud to children, she continually honed her skills as an artist and writer and published her first Llama Llama book in 2005. Her passion for creating extended to home and garden and she lovingly restored an 18th century farmhouse in southern Vermont. She wrote, painted, gardened, and lived there with her partner, Reed, her two daughters, two wirehaired pointing griffons, and one bulldog. Anna was a warm-hearted, wonderful, wise soul who will be forever missed, but whose spirit lives on in her books. 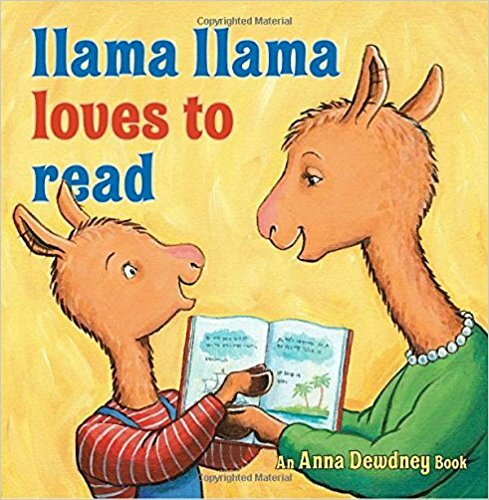 Llama Llama Loves to Read is a darling addition to the Llama Llama series. Over the course of his day, Llama Llama gets help to practice his letters, reads stories, goes to the library. And by the end of the day, little Llama is on his way to becoming a reader. Get your copy here. 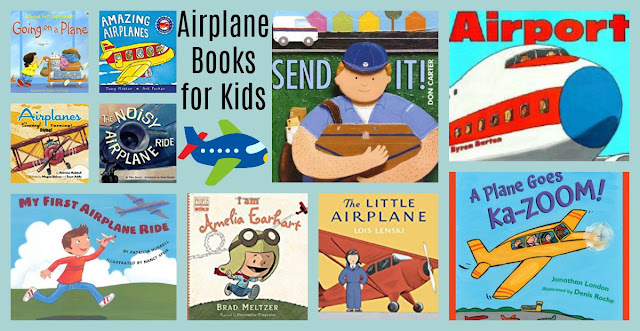 After reading the book, we did a fun alphabet activity that fits right in with the theme of the book. 1. Ahead of time, print out the ABC matching printable available below. You may want to print out two copies to use with each of the activity variations. 2. It is suggested that you laminate printable pages for durability if they are going to be used more than once or with several children. 3. Set out the activity in the variation you choose on a tray or inexpensive cookie sheet to create an invitation to learn. Invitations to learn are eye-catching set ups that garner a child's curiosity about the activity. I like to set them up on trays/cookie sheets because it helps to keep small pieces somewhat contained. After printing and laminating pages, cut out each Upper/Lowercase letter card. 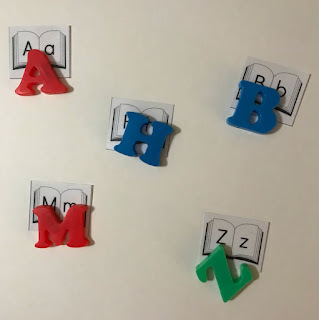 Place at a learning center with alphabet magnets. Encourage young learners to match the magnets to their corresponding letter card. After cutting out letter cards as in Variation #1, split each card in half (separating the upper and lower case versions. Children can then match the uppercase letters to their lowercase partners. 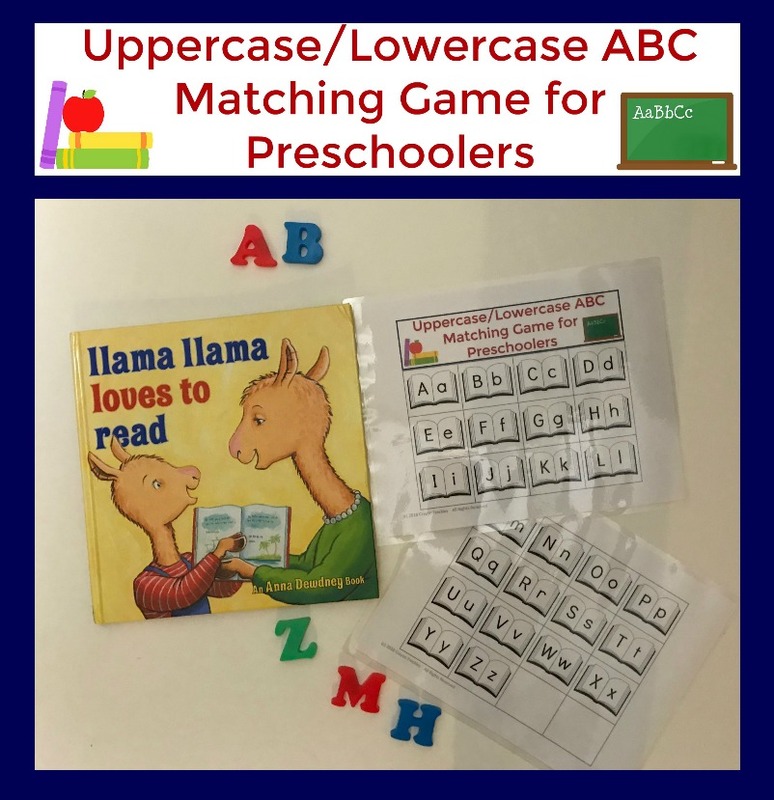 Take the alphabet outside with this fun Llama Llama related activity. 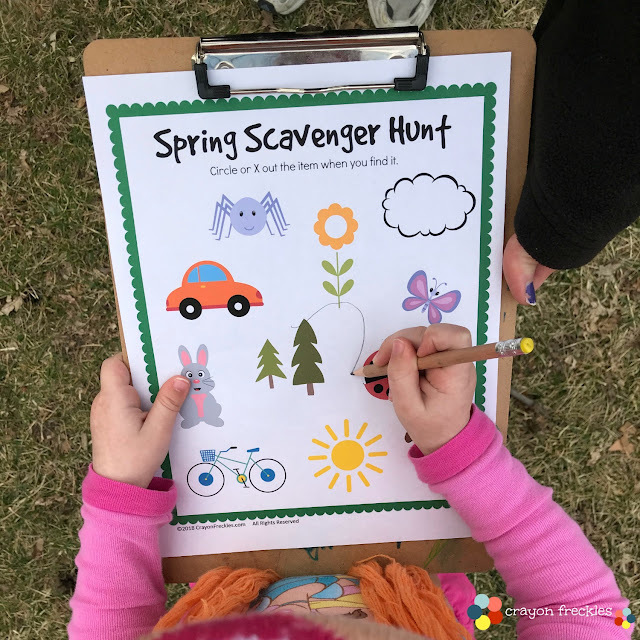 Go on a letter sounds scavenger hunt. Hop through the alphabet with this board game for kids. Practice letter shapes with buttons. Play an alphabet matching game with milk caps. Make sight words out of clothespins. Go on an alphabet hunt. Have a letter sounds race. Trace letter shapes with legos. Practice building sight words with this car phonics game. Sleep is probably one of the toughest issues we face as parents. So many different issues come up... one last drink of water, having the right stuffed animal, it's too hot/cold, too light/dark. Seems like these funny little ones can think of hundreds of reasons to prolong going to sleep. So how do we handle this as parents? Over the years, I've found that having a consistent bedtime routine has been crucial in getting my children to sleep with very little fuss. Find out how to build a bedtime routine that works for your family below. 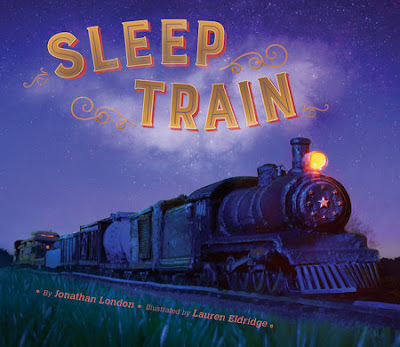 We recently got a copy of Jonathan London's new book, Sleep Train, to review from Penguin Young Readers. It's such a sweet book with lulling rhymes and dreamy illustrations that follows a little boy's journey to sleep. It's the perfect book to incorporate into children's bedtime routines. Do you need help getting your child on the Sleep Train? 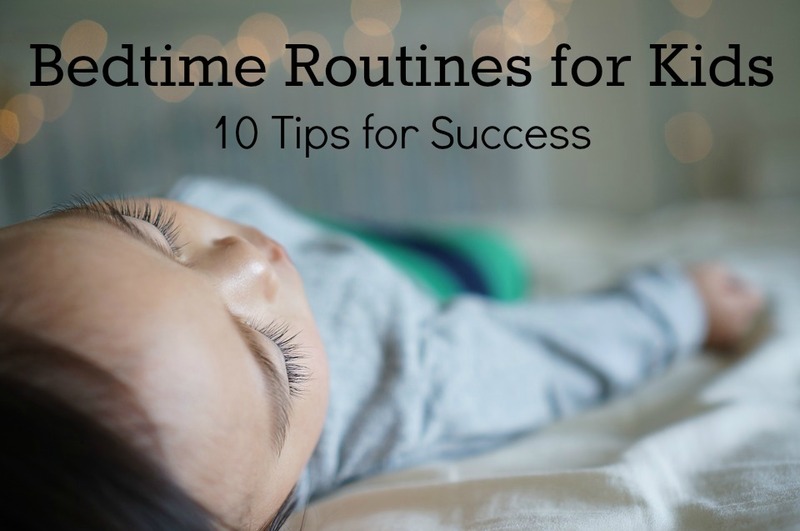 Use these tips below to create a successful bedtime routine for your family. To start off, find out how much sleep your children need for their current stage of development. You can find that information out here. To determine what sleep and wake up times work best for your child, you can keep a sleep journal in a notebook. Note what time they start to get tired, irritable, or rub their eyes. Go back 30 minutes and that's the time to start your nighttime routine. You can also keep track of any sleep issues that present themselves in the sleep journal. These can be sleep apnea/snoring, night terrors, bad dreams, bedwetting, etc. These issues may be ones to address with your child's doctor for help and treatment. Daily baths aren't something that works for every family. However, I've found that even a quick 10 minute shower does wonders to help kids relax and unwind. After they're clean, they put on comfy pajamas. Try to stick with nonsynthetic fibers to allow breathability as they sleep. Long sleeved cotton pajama sets with pants are great for cool months. And t-shirts with shorts keep kids cool in warmer months. Limit technology after bathtime, or for the 30-60 minutes before bed. The National Sleep Foundations suggests this technique to allow children's brains to reset from the stimulation that technological devices provides.This stimulation prevents the brain from being able to fall/stay asleep. One of the cornerstones of a strong bedtime routine is reading. You can read picture books to younger children or have older readers read aloud to you. Reading a book before bed helps children to calm down, focus, and relax. 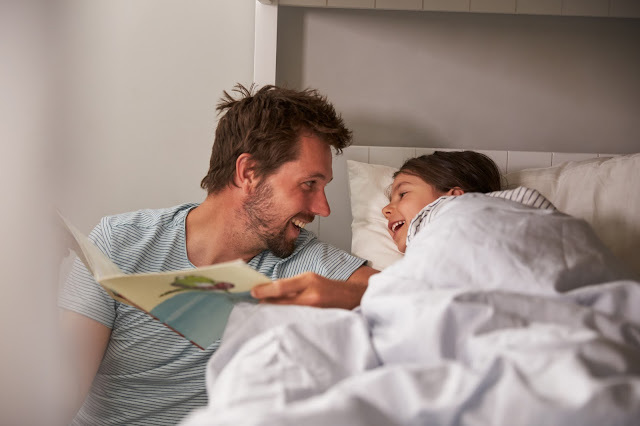 Snuggling together over a book allows children to reconnect with their parents after a long day of daycare/preschool/school. Read about the other benefits here. 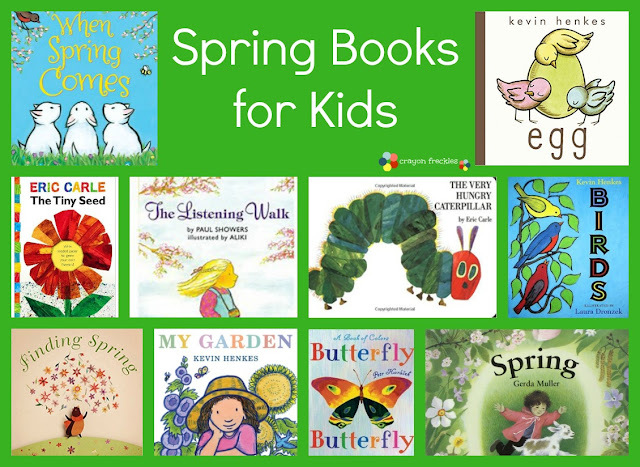 Check out this ultimate list of picture books for kids and this list of great chapter books for older readers. Prevent those bedtime requests for a little snack or "one last drink of water" by having a set snack time. Avoid too much liquids and foods that are too heavy. Many may opt to do this in conjunction with reading a book. Brush teeth. Go potty. Wash hands. 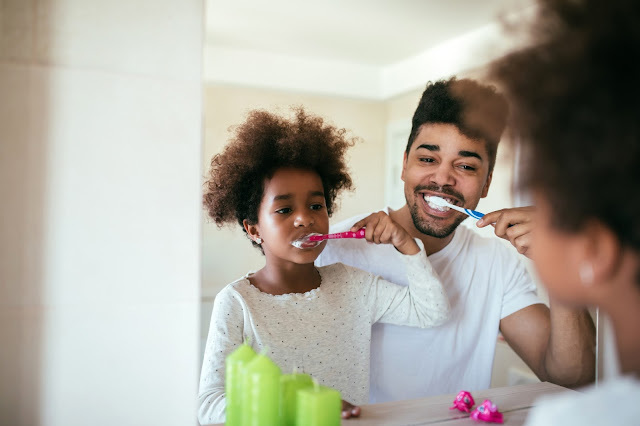 Not only does this provide children with reinforcement of good dental hygiene, one last pit stop negates any need to get up out of bed for a bathroom trip soon after being tucked in. 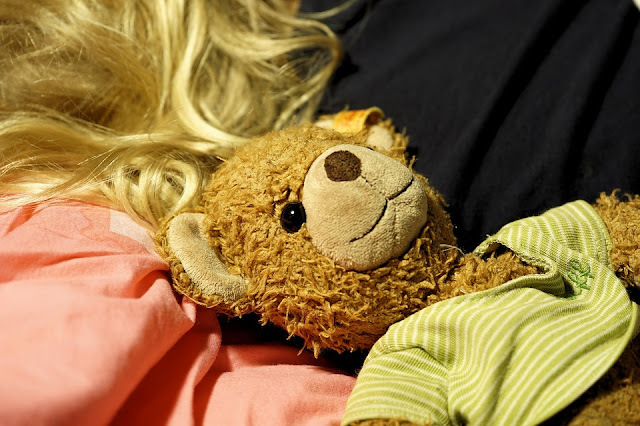 Bedtime can often bring about feelings of loneliness or insecurity for children as they are tucked in their beds, alone in their rooms. Help them to find a favorite stuffed animal, doll, or blanket to snuggle with. Sometimes, children may need a little extra reassurance. It's times like these that they can be given one of mom or dad's shirts to snuggle with. Sometimes just the scent of their mommy/daddy can help them to feel more safe and secure. There's something about white noise that can help people of all ages to fall asleep and stay asleep. There are white noise machines that you can buy. But I've found that a fan on the floor (to avoid cool drafts) can provide a great source for white noise to help drown out ambient sounds from outside and around the house. I have a "routine" that I go through with each of my children when I tuck them in. For both, we say prayers and talk about what we're thankful for that day. Then comes the eloquent dance of hugs, kisses, special handshakes, secret phrases, etc. For each child, it is different and directed by them. Then I tell them something wonderful about them. I feel it's important that those moments before they drift off to sleep are filled with nurturing, closeness, and feeling good about themselves. Sleep routines can be hard to get started, especially if you live a busy lifestyle or have reluctant sleepers. But consistency is key. And some kiddos will try to wear you down. They'll ask for another drink after they've already had one. Or beg for "just one more book". Although, it's up to parents to analyze what needs their child has with these demands, I will say that "giving in" will only set precedence for similar requests. And then some candid posts here and here. Are you a co-sleeper? Get reassurance here. You aren't alone in your sleep struggles. Please feel free to message me at any time. Disclaimer: This post and its contents should not be construed as medical advice. These suggestions should only be used on children that display developmental ability and readiness for such techniques. As a parent of a child who has had to repeat a grade, it can be a tough issue to tackle. Children's books on this topic are hard to find. 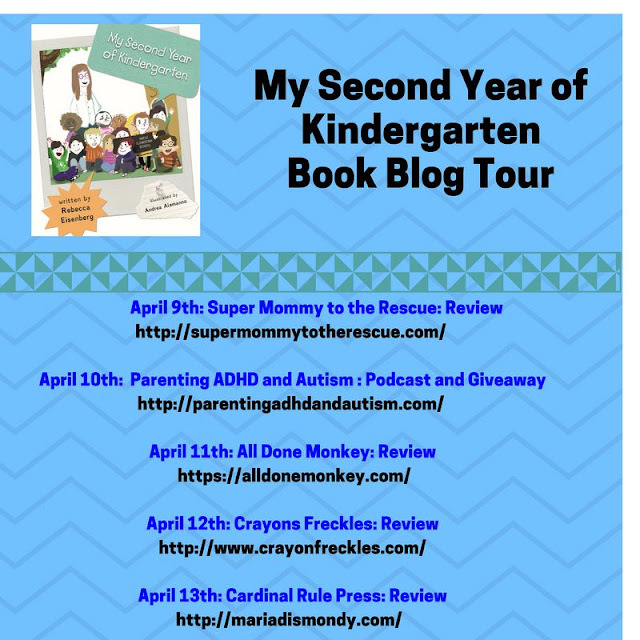 So when I heard of Rebecca Eisenberg's new book, My Second Year of Kindergarten, I knew it was something I wanted to share with all of you. I'm so very grateful she sent me a free copy to preview and share my thoughts on with you. So what do you do when you find out your child has to repeat Kindergarten because they just aren't ready to head on to First Grade? My Second Year of Kindergarten speaks to children on their level and points out all the bonuses of repeating a year so they can further develop. At the back of the book are tips parents can use to talk with their children about this. The author also has a Reader's Guide that you can download to further help children prep. Remember that this is not a failure on you or your child's part. Sometimes kiddos just need a little bit more time to grow and develop before they're ready to move on in today's fast-paced educational system. Some flowers just need more time to bloom. Talk with your child about the benefits of this opportunity. They get to meet new friends, learn and practice their skills, and have another year get better at the basics. Don't shame. There is going to be enough of that on your child's part within themselves. Instead, encourage them to be the best they can be. Remember that hold backs aren't always academically related. Sometimes they are based on the individual child's social development. 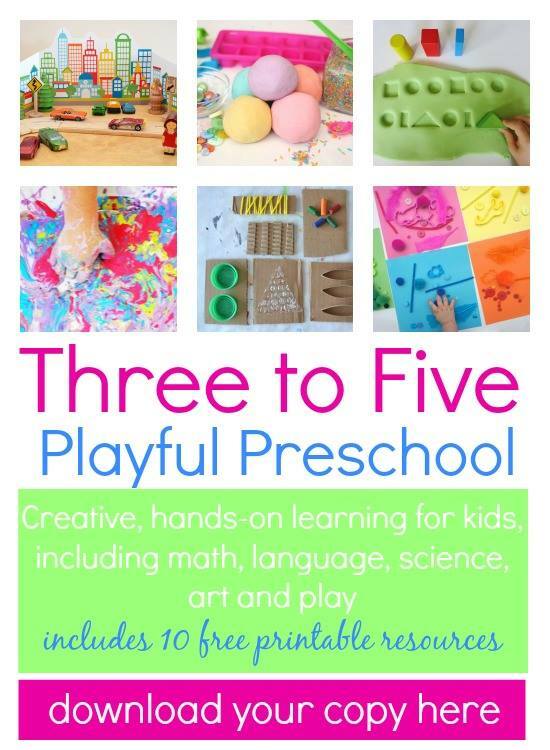 These skills can be developed through social interactions with other children, practicing peer scenarios, and through parent modeling of proper social skills. 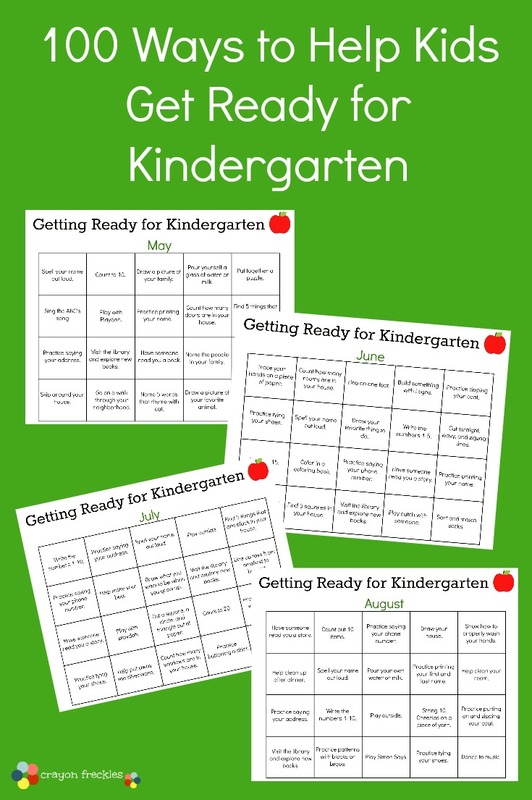 Reference and utilize the resources in the My Second Year of Kindergarten Reader's Guide here. In today's educational system model, there is a lot of prep that parents have to do to get their kiddos ready successful in Kindergarten. 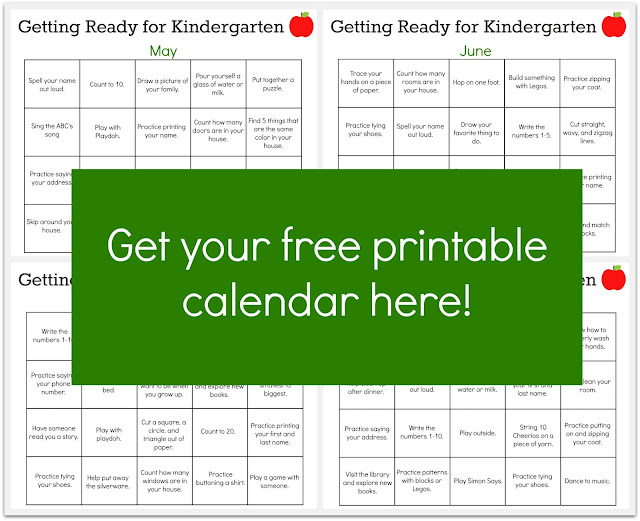 So I thought I'd put together a 4 month calendar of activities that parents can do with their children to prepare them for kindergarten... Whether it's the first or second time around. Check back in soon for an ebook full of ideas for parents to prepare their children for kindergarten. Spring is officially here so we get to do one of our favorite things: go on walks after dinner. There is so much happening during this season... plants are growing, birds are chirping, bugs are crawling. So why not use this time to develop literacy and observation skills? 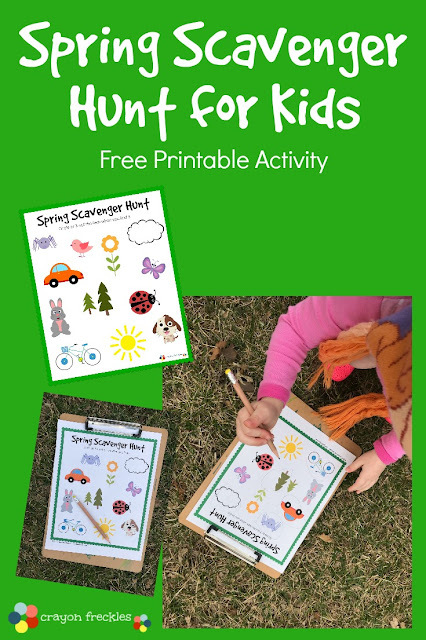 Go for a walk and encourage children to observe all the sights, smells, and sounds of spring with this fun free printable. They can mark off the items they perceive with their senses as you walk. 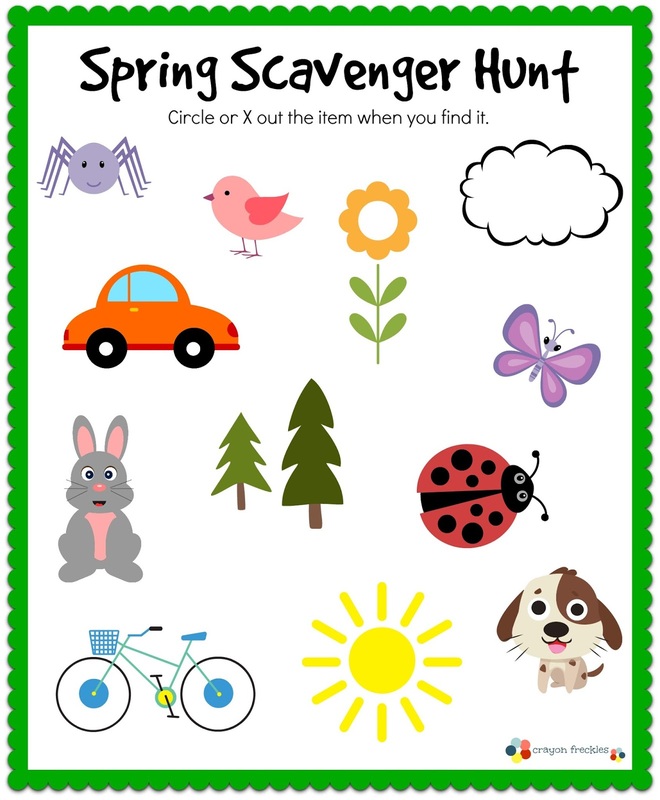 As you walk, encourage children to use all of their senses to cross off items on the scavenger hunt list. They can hear a bird chirp, smell a flower, see a spiderweb, or touch a tree with new leaves. For an added activity, you can always provide children with a digital or disposable camera for them to capture their scavenger hunt findings. This activity can also provide a prime time to impress with children respect for nature. We can observe all it has to offer. But we should leave it unchanged from when we first found it. If you're ready to take your spring sensory walk, download the scavenger hunt printable using the link below. It's the Spring Break season and so many people are taking trips to distant destinations. That's what makes this airplane and cloud math activity perfect for young learners. It combines learning with things that interest a lot of children. Laminate, if desired. This will ensure the activity mat can be used by multiple children or even annually during certain thematic units. Cut out the cloud number cards. 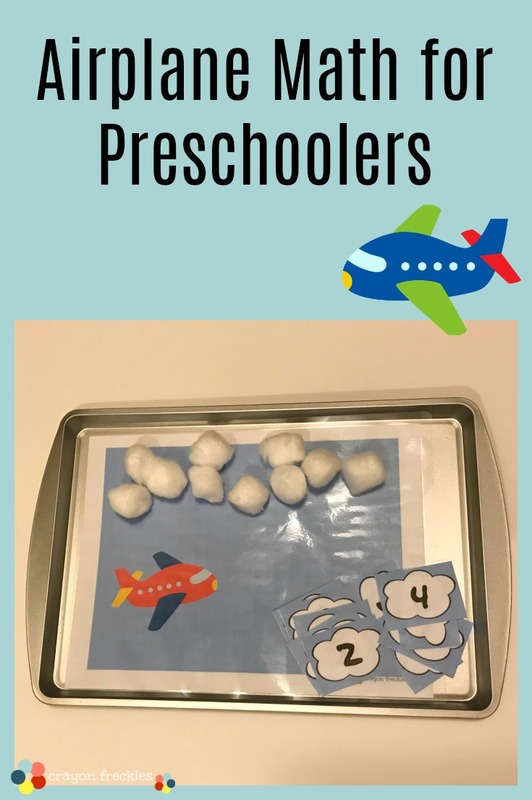 Prepare an invitation to learn for children by setting up the activity on a tray or cookie sheet. I’ve found this to be an excellent way to encourage young learners to become interested in an activity. Cookie sheets can assist in keeping activity pieces together in one place. (You can find affordable cookie sheets at your local dollar store.) Set the scene further by placing some plastic airplanes around the trays. This activity teaches young learners one-to-one correspondence, which is the ability to assign one number to each individual item. With this skill, children understand that each number represents a corresponding number of items. 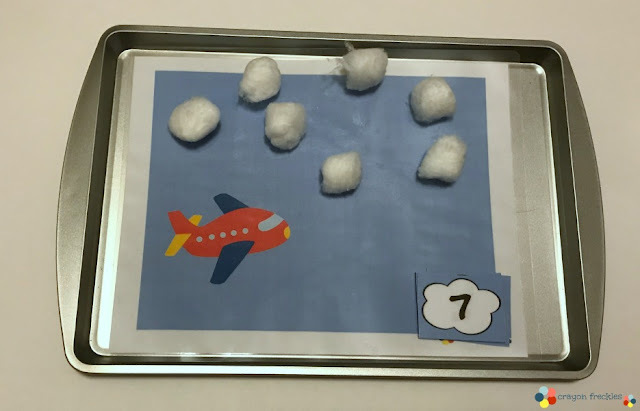 To introduce this activity, you can encourage children to draw a number card and place the corresponding number of clouds in the sky. Once completed, the "clouds" can be counted to ensure accuracy. 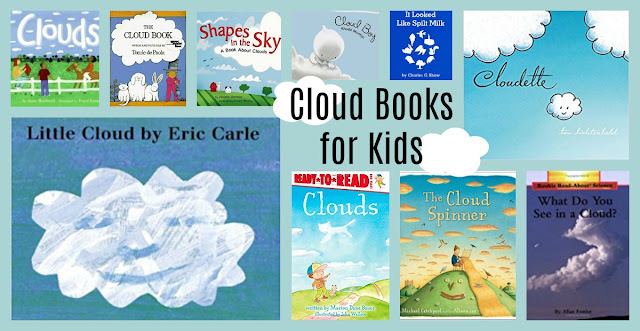 Let children create their own cloud book like this one. Create puffy paint clouds using this tutorial. Lay on a blanket and watch the shapes the clouds create. Make a rain cloud in a jar. Create stories based on what you see in the clouds. 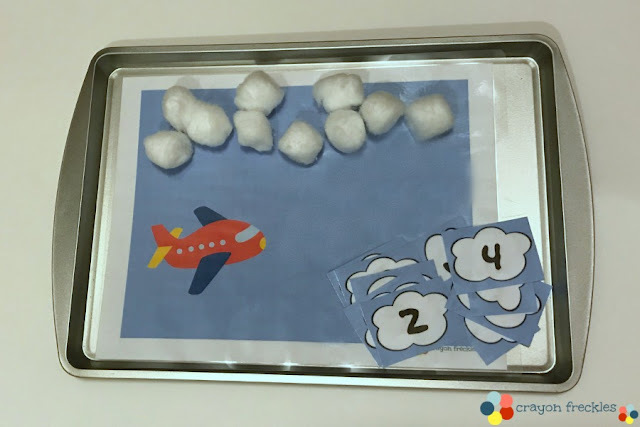 Practice addition and subtraction with this passenger math activity. Where we come from can often tell our story. Our heritage is an inherent part of who we are. 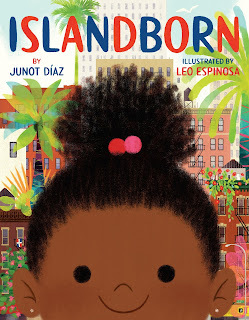 That's what makes the new book, Islandborn, by Junot Diaz, such a gem. It tells the story of a young girl who looks for her roots and find pride and joy in them. Find out how we translated this into an activity that pertains to our family. And a quick "thank you" to Penguin Random House books for sending us a copy of this beautiful book to preview! 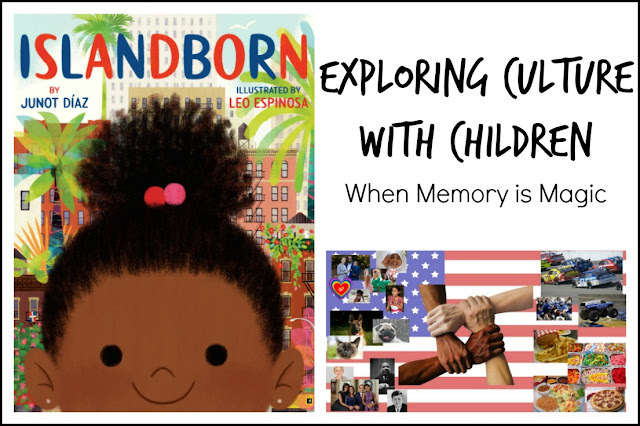 Islandborn talks about how children explore their countries of origin. But the key character, Lola, doesn't remember the island on which she was born. So she talks to key people in her life that can fill her in on the beauty, magic, and tradition of her home country. This book is lovely.... just beautiful. But, our family genealogy is quite diluted and we don't identify with any specific nationality. So I thought it would be a wonderful way to explore the only home country that my children know....America. To do this, my son and I explored what it meant to be born in the United States and together created a collage on what growing up our country is all about. You can do this project one of two ways. The first is what I call the "old school" method. Let children put together a poster board that reflects what they know/how they feel/what they think about their country of origin. They can print out pictures from the internet, use family photos, and incorporate script to fully encapsulate their thoughts. 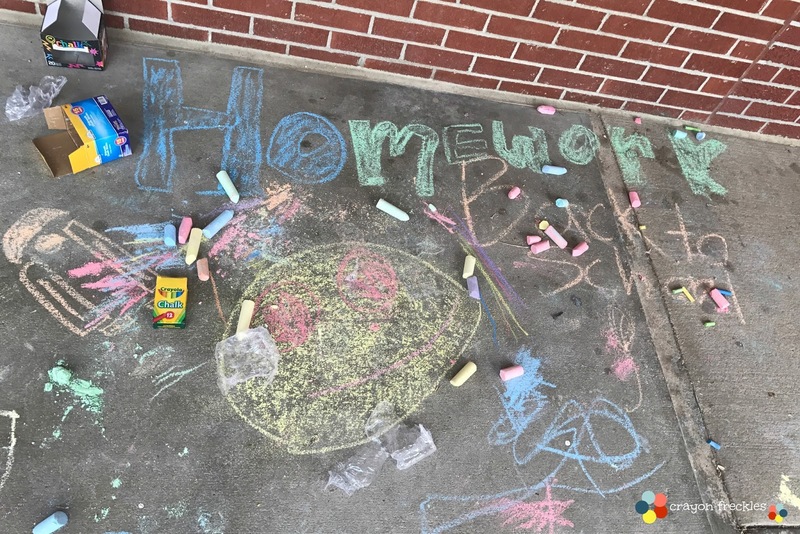 The second way this activity can be completed is to allow grade-schoolers to create their own digital art project that displays their thoughts/memories on their home country. This is the option we chose and to do this, my son utilized images we found through searches on Pixabay and assembled them with PicMonkey. Not only did this give him a chance to explore his American heritage, but it also gave him some practice in graphic arts. Where we come from is not an island, or a foreign country from which we can draw identity and family traditions from. Instead, the United States is our home, our "island", the only one our family has known for generations. 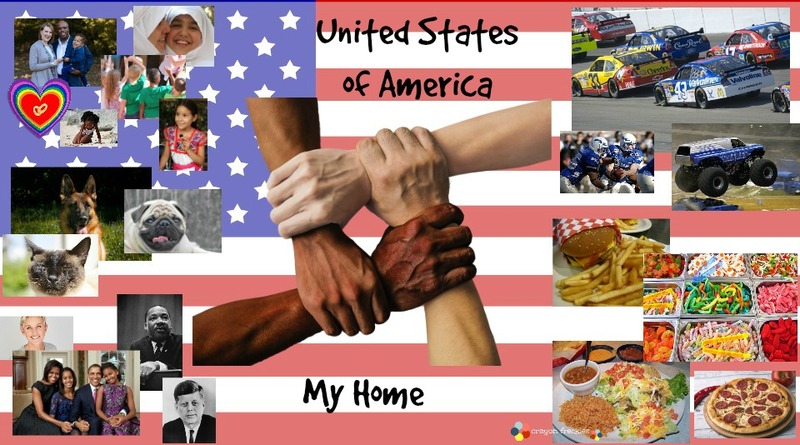 I try to teach my children to appreciate and support the USA for what is truly supposed to be... a place where people from multiple backgrounds that can live collectively and still hold tight to the traditions of their culture (like the children in the book). That's what makes books like Islandborn so important in the landscape of children's literature. It's vital that children of color see representation of themselves in the characters they read about in books. Likewise, it's important that children who aren't exposed to much diversity see main characters who aren't exactly like them to teach them acceptance of those who don't look or live like they do. Multiculturalism in literature is a win-win situation for all children so long as the books are free from stereotypes, racism, and misinformation. 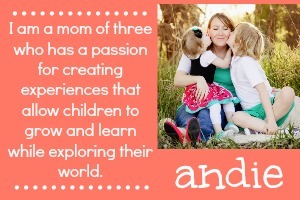 I'm so very excited to announce that I'm a new contributor over at Rainy Day Mum! I want to share my first post with you. It's based on one of our favorite books, Dragons Love Tacos! 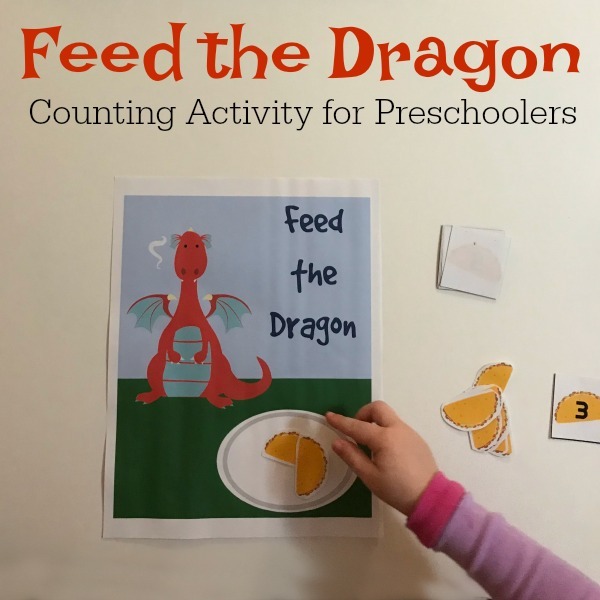 This fun activity uses the fun book Dragons Love Tacos and incorporates it into a math-based learning activity for kids. Download the free printable for this activity and use it in your home or classroom. I hope you have as much fun with this printable as we have! Peace, love, dragons, and tacos!! Recently, Penguin Books sent us a new release to preview. 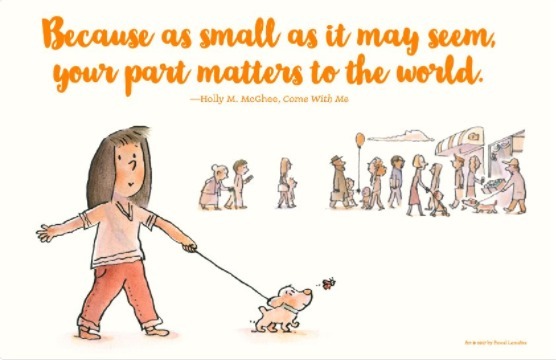 The book, Come With Me, by Holly M. McGhee and illustrated by Pascal Lemaitre is a touching story about a little girl who sees tragedy in the news and struggles to deal with it. In light of the recent tragedy in Parkland and the general climate in our country, it's a book that can truly help children cope with tragedy. Find out how we're using this book in our home to deal with the emotions that have been brought to the surface with my elementary school student. Author Holly M. McGhee and illustrator Pascal Lemaitre say this of the book. "Come with me is written in honor of friendship, bravery, and the fact that we aren't powerless, no matter how small and insignificant we may feel." When dealing with tragedies that affect our tiny humans, bibliotherapy, (that is using books to address heavy emotions or big issues), can be very beneficial. Like in the book, children can do something to brighten the spirits of those around them. Earlier this year, a group of us got together at our elementary school and the kids decorated the sidewalk an porch to welcome students back to school. You can find more ideas on random acts of kindness kids can do here. 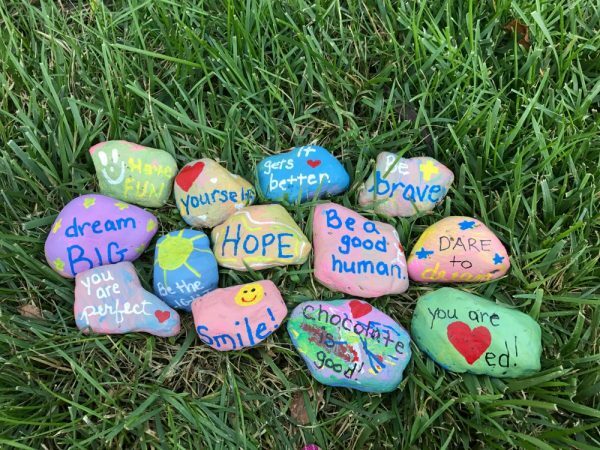 Spread love around your community by painting rocks with fun pictures or empowering sayings and placing them where people can find around your community. You can find more information on the Kindness Rocks movement here. There are so many people in action in our communities that help those living there. These are people such as teachers, librarians, police, firefighters, emergency room workers, sanitation workers, military members... the list is quite expansive. 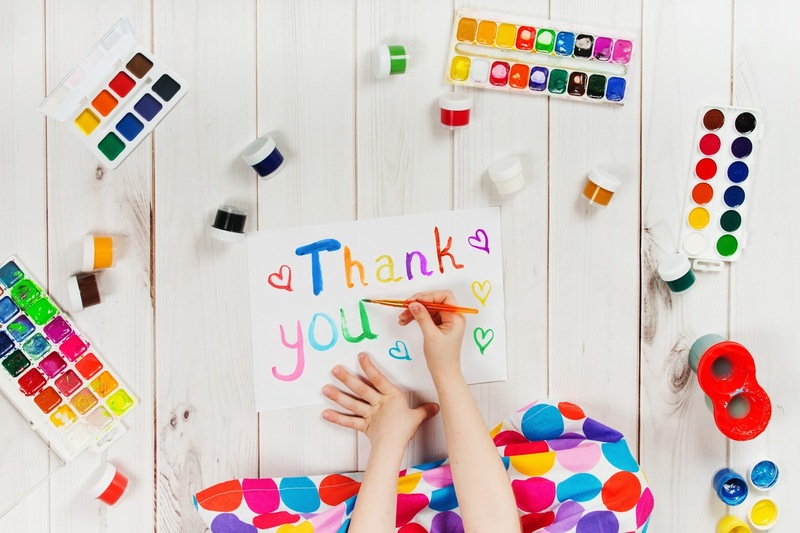 Children can write thank you letters and/or draw pictures to send to these individuals. Or you can put together a care package for troops using this guide from Operation Gratitude. 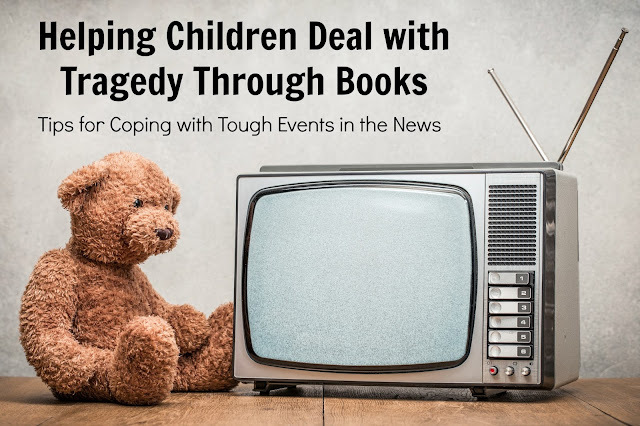 Using books during times of tragedy are a great way to help talk children through big emotions. They also provide relatable examples of other kids going through tough things. Using them to inspire healing activities can help kids cope when tough stuff happens. "Mom, why are all the flags half mast today?" This question from my nine year old son two days after our nation's most recent school shooting in Parkland, FL. I told him simply and without much detail that there had been another school shooting and that 17 people had been killed. "Another one?" he asked. "Yes, baby. Another one. What do you make of that?" And then our conversation ensued. 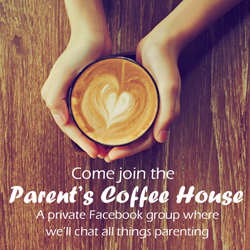 Parents today face something previous generations did not. We have to talk with our children about mass shootings in schools. It's a hard topic to address with them. Schoolchildren today accept routine lockdown drills as readily as previous generations accepted fire drills. So, how do parents talk about school shootings with children? Find some tips below. Tackling tough topics with our children is hard. Talking about school shootings with our children is harder. Here are some tips that can make the school shooter conversation easier (if that's possible). I know it's scary... We send our children to school each day in the hopes that they will be safe for eight hours. We fear all of the "what if's" while they are away from us... and sometimes even when they are WITH us. But for conversations such as this, it is important that we address our feelings beforehand. While conversing with your child, be calm and assured. Talk on your child's level. Avoid graphic news coverage with younger children. As parents, we have to ascertain just how much information our children are capable of taking in. Conversations will vary if we are talking to a six year old or a sixteen year old. Younger children needn't hear the grisly details of the latest school shooting. But older and more mature kids can take part in conversations with more direct guidance on how to respond to a school shooting. Let child know it's okay to be sad or scared. Sometimes all we need is to have our feelings validated by others. Let your child know that it's okay to be scared or sad about recent events. Talk about their feelings. Let them know that it's okay to be sad or scared, but that there are procedures in place to keep them safe at school (see next point). Reassure them that they are safe at school. Talk with your children about the safety measures their school takes to keep them safe. Remind them that they are in the presence of people that care for them while they are at school. 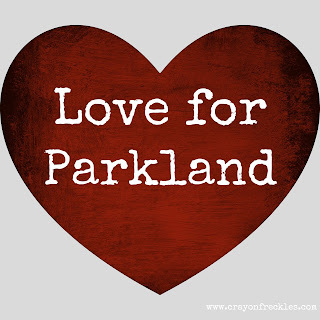 As a parent, each day we send our children into those school doors, we are entrusting teachers, paras, and administration to keep them safe... to love them as we do... to recognize their beauty and strengths. Our children need to know how much confidence we have in their daily caretakers. Children need to know that there is a safe space to vocalize concerns. If a classmate makes a comment or threat of violence, children need to know their observations are taken seriously. Talk with your children frequently. Remind them that if they see something or hear something that sounds scary or dangerous they must come to your or a school official about it. As Mr. Rogers said, "Look for the helpers." Encourage children to see all the people in tragic situations that are running in to help. Talk with them and read books about police, firefighters, EMTs, and military members whose job it is to keep us safe. Ask child how they think they can help. Healing is subjective. There's no clear cut route towards healing after tragedy. Even on the sidelines, children can still be affected by school shootings in other parts of the country. Talk with them about what THEY think they can do to feel better or to exact change. They can start a journal about their feelings. Or maybe they want to make cards for survivors. Older children may wish to write their Senators. Whatever they want to do, if it's feasible, accommodate them to help them deal with their thoughts and emotions. Open up ability to ask questions at any time. 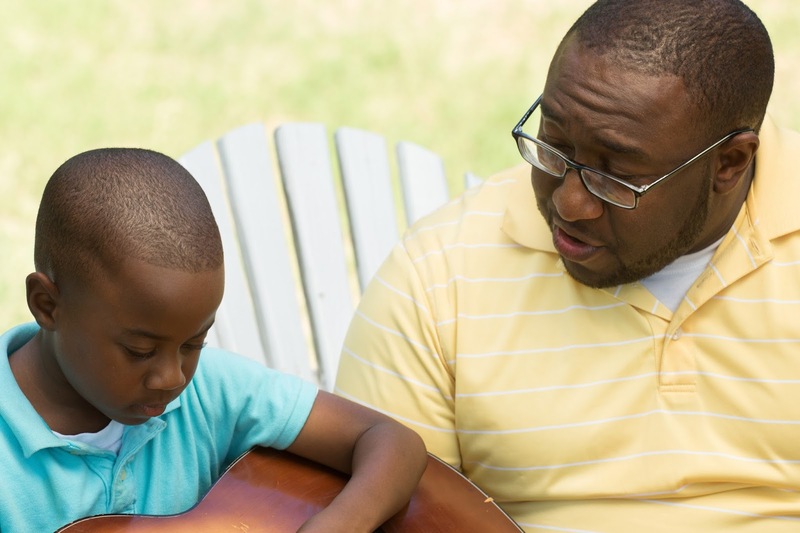 Make it clear to your children that they can talk about their feelings or concerns at anytime. Keeping an open door for communication is so important. Keep in mind that some children may not always be forthcoming with their concerns. It may be necessary for you to "check in" with them occasionally and ask questions about what is going on from their perspectives on the world. Kid-friendly books that address scary topics. 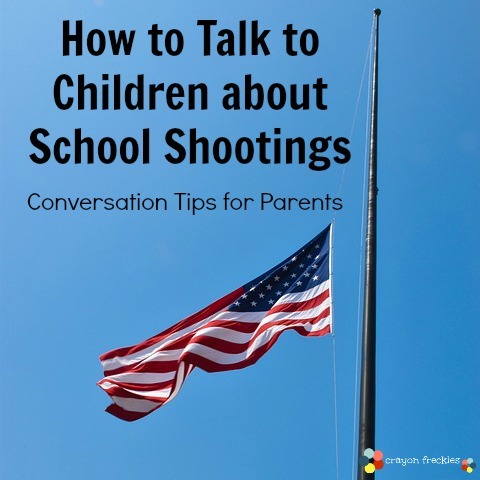 I've not found many books on talking about school shootings with children, but I'll assure you that I'm currently working on one. 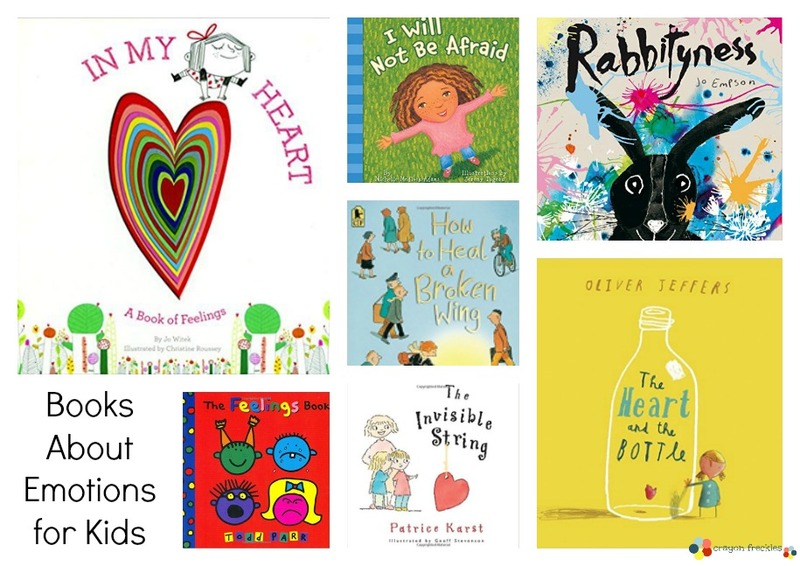 In lieu of that, here are some books about loss and tragedy that may help children. One of the best ways we can connect with our children is through physical touch and affection. During these times of insecurity and fear, sometimes a hug or a cuddle are what can make the biggest impact in making our kiddos feel safe and secure. These are tough and scary times for both parents and children. We do the best we can with the tools we have. So take these tips, love on your babies, and do all that you can to ensure that a solution is found to the rampant gun violence our country's schools are facing. God bless you all.